Can you believe that we're already at the end of November? Christmas is creeping up quickly and I've been working on some gift ideas for this year (okay, I'm actually just thinking about them, but I've almost decided on what I'm going to make). 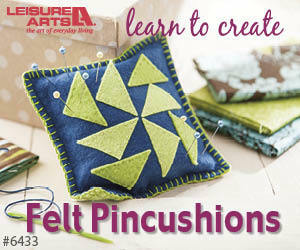 You can create lovely gifts with just a few hand embroidery stitches that you'll learn in Hand Embroidery Essentials on Curious.com. Thinking about embroidered items made me realize that I haven't told you about my latest on-line course at Curious.com. When you enrol in Hand Embroidery Essentials you'll learn everything you need to know about hand embroidery: tools, fabric, stitches. I've even included my Flourishing Heart pattern in this course and you can work along with me to create your own Flourishing Heart pincushion. It makes the perfect gift either as a pincushion or as an ornament. Create several, add some potpourri to them and they make lovely sachets or basket stuffers. To learn more about what's included in the course, watch the video below or on my Youtube channel.